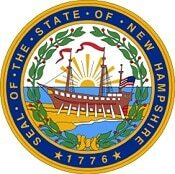 New Hampshire Knife Laws are now the clearest and the friendliest from its updated & final version of 2010’s laws. We are going to discuss the knife laws in this whole article. Hope this article might help you forget the confusions. According to the New Hampshire, stilettos, switch knives, daggers and dirk knives were illegal before the law was updated. You will be amazed what the updated new law has brought to you! It is now totally legal and the prohibitions have been removed from the stilettos, switch knives, daggers and dirk knives. So, carrying, possessing, selling or purchasing, manufacturing these mentioned knives are no more illegal in New Hampshire. But there are still prohibitions on blackjack, slungshot, and metal knuckles. Though these instruments are not knives, they are somewhat considered as one. This new law was effective from May 18, 2010. So, this whole new change made a huge difference in the knife-owners and the knife-users so far. You may check the updated statute for yourself below. 159:16 Carrying or Selling Weapons. Whoever, except as provided by the laws of this state, sells, has in his possession with intent to sell, or carries on his person any [stiletto, switch knife,] blackjack, [dagger, dirk-knife,] slung shot, or metallic knuckles shall be guilty of a misdemeanor; and such weapon or articles so carried by him shall be confiscated to the use of the state. 67:2 Effective Date. This act shall take effect upon its passage. The updated law will not be applicable to those who are convicted felons. It is totally guilty of a Class B felony if a convicted felon owns or possesses stilettos, dirks, daggers, billies, switchblades, sword canes, blackjack, metal knuckles or other deadly weapons. The statute 159:3 states the law about the convicted felons. In the section RSA 625:11, V, the deadly weapon has been defined as any knife or other instrument or firearm which is intended or threatened to be used that can cause a serious injury and even death. There is no knife carrying issues in New Hampshire. It is legal to open carry and conceal carry any knife you want except for the restricted places such as schools, courthouses or other government areas/ buildings. There is no specific knife law for the minors here. But it is prohibited to sell or transfer any deadly weapons or knives to the minors. Schools, kindergartens, higher educational institutions are knife and weapon free zones. Anyone cannot carry or possess any of the deadly weapon or knives on the school premises except for the authorized personnel. There is no fixed blade size for the knives to carry or possess. As it has become one of the friendliest states for the knife-users, blade sizes do not also matter here. Let’s review the legal knives once again as all kinds of knives are prohibition free now. Knives that are disguised under pen, cane, lipstick etc. are legal. Throwing stars and throwing knives and other martial arts’ weapons are legal. No banned knives, no knife open carry or concealing issues, no fixed blade sizes and other slightly straightforward restriction have made New Hampshire the friendliest for the knife laws than the other states.